Our onboard domestic charger is by Schumacher, please select your tug model so we may send you the correct wiring configuration. 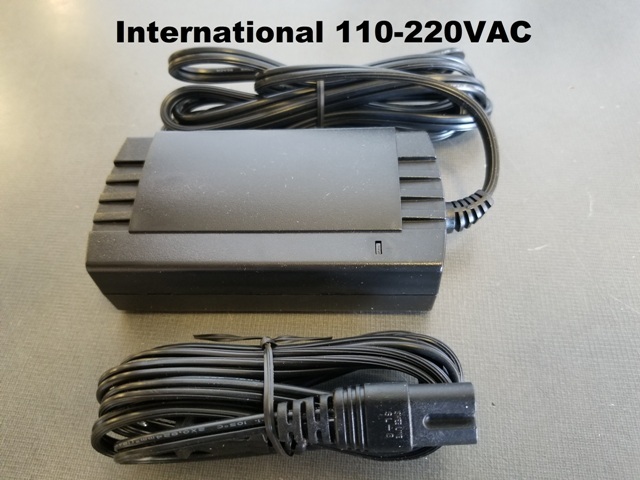 Our international charger is an off-board unit by Schauer, it has an IEC connector on it you may need to purchase the correct cord locally. 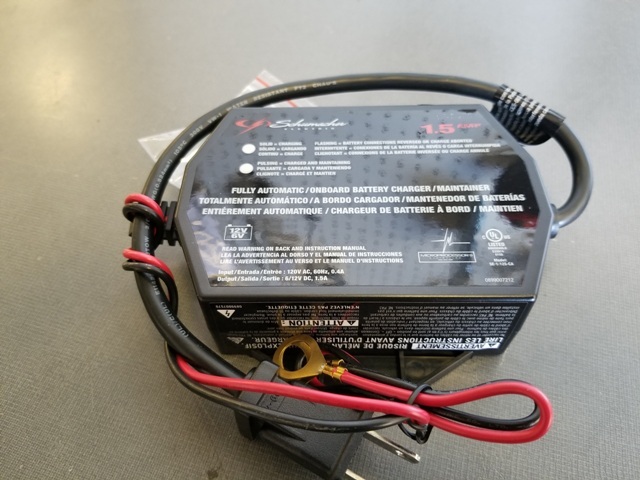 Our Striker charger is an off-board 36 volt unit by Schauer, it has an IEC connector on it you may need to purchase the correct cord locally. The older cube shaped ProMariner used on our product has passed into obsolescence, and is superseded by our two choices above. Original unit failed after 3 years. This replacement was wired and ready to go. Slightly different configuration so had to drill new holes to install, but overall easy to attach. Has better light indications to show status than original. I got this charger to replace one on my original PowerTow that had a frayed wire and was not working. This one works well - a little work to put on as it has different holes than the original, but well within the capability of most anyone who can use a drill.